I seem to be doing a lot of reminiscing. Not sure why but there are different parts of our house that remind me of an earlier era with our little P. Since she is now setting the table and becoming more capable of doing things for herself, I moved all her dishes to a lower cabinet. I installed a rolling basked. 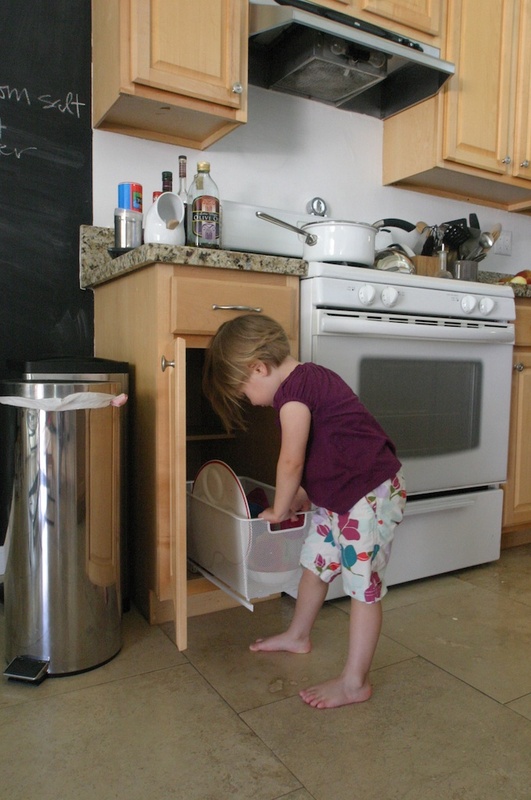 Now her dishes are easy to access and kept neatly in one place. 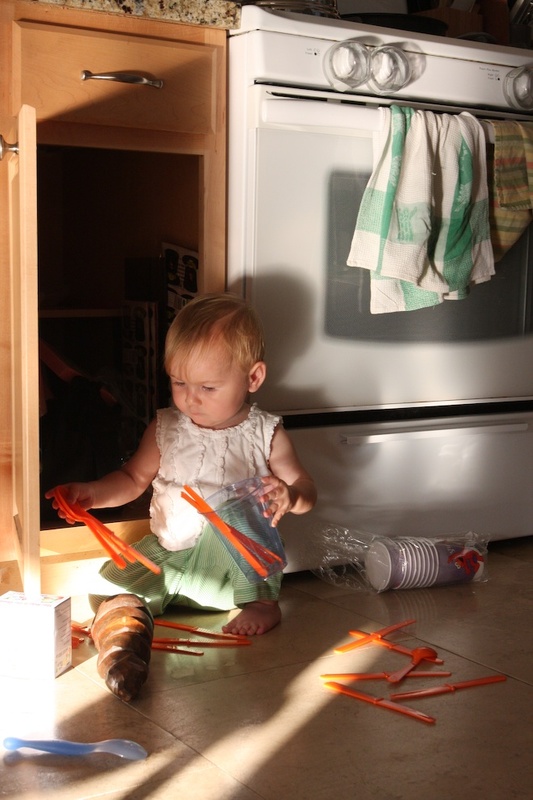 Today, watching P get her dishes reminded me of a time when she loved to play in that same cabinet. She use to pull everything out of there and just play with it all for a good amount of time while I cooked. I remember it was right before she began to walk so she sat there, near me. Previous Previous post: Dinaaah Time! Next Next post: No Kidding.